adidas today revealed a first glimpse into the future of production with its pilot SPEEDFACTORY in Germany. Using automated manufacturing to bring production to where the consumer is, SPEEDFACTORIES create high-performance sporting goods faster than ever before. SPEEDFACTORY includes intelligent robotic technology that not only offers the highest performance quality but also presents a unique design to the shoes. The first concept shoes comprising 500 pairs of running footwear will be revealed in the first half of 2016 with high-volume production for consumers set to launch in the near future. "SPEEDFACTORY combines the design and development of sporting goods with an automated, decentralised and flexible manufacturing process. This flexibility opens doors for us to be much closer to the market and to where our consumer is," said Herbert Hainer, CEO of the adidas Group. "Ultimately we are at the forefront of innovating our industry by expanding the boundaries for how, where and when we can manufacture our industry-leading products." adidas is currently setting up the pilot SPEEDFACTORY in Ansbach with Oechsler AG. As well as better meeting the needs of consumers, the SPEEDFACTORY network will have a significant positive impact on the environment by cutting down on shipping emissions, whilst drastically reducing the use of adhesives. "The set-up of the first SPEEDFACTORY has kicked off in Ansbach, Germany, to propel a global network of automated production which brings cutting-edge technology to cities around the world. 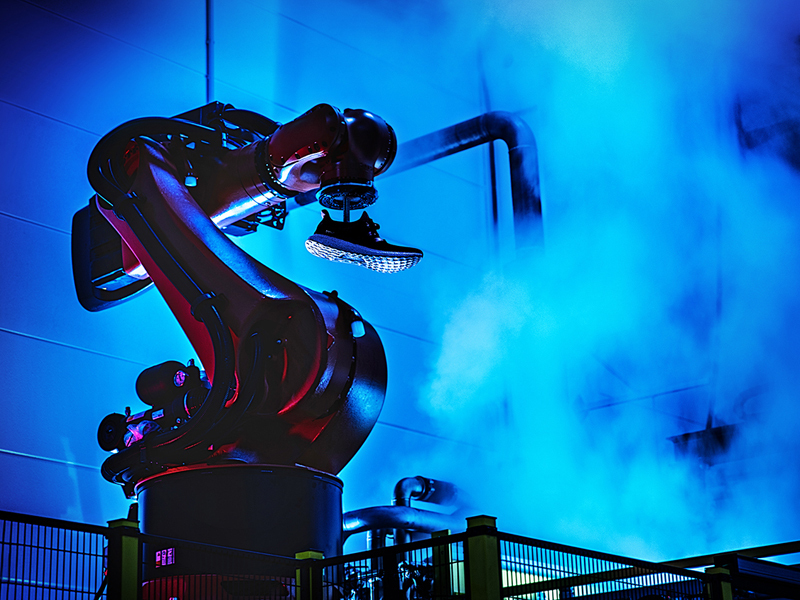 These first 500 pairs will help us set the scene for large-scale commercial production so each consumer can locally get what they want, when they want it, faster than ever," stated Gerd Manz, Vice President Technology Innovation at adidas. SPEEDFACTORY is just the beginning in adidas' vision to offer consumers a holistic high-tech experience using revolutionary manufacturing technologies, in-store customisation and interactive digital experiences. Starting with SPEEDFACTORY, adidas will roll out ground-breaking initiatives in stores and via cutting-edge digital consumer experiences.